Hogwarts in Winter | © Warner Bros.
Everyone who has read the books has once dreamt of experiencing the wonderful magical life that was Harry Potter’s and his friends’ – especially if one lived in England. As the Potter generation grew older, this dream came closer to becoming reality, bit by bit. In this article, we will take you on a journey where magic and reality are entwined: through real-life Harry Potter experiences! Before experiencing wizardry, it only seems fair to get a proof of your existence as a wizard. This is what Legendary Letters, an official wizard mailbox website, offers its customers. Offering a range of different options — including receiving letters from other wizarding schools such as Beauxbatons and Durmstrang — the website will seem a treasure mine for anyone who patiently waited for their letter at the age of eleven. The letter is also available on the Harry Potter shop website, for an even more realistic experience. In the Orlando Harry Potter Park, one can find many magical things, but none of them can beat the real life Diagon Alley. From Olivander’s wand shop to the Weasley’s cavern of wonders, anyone’s inner wizard will be awakened at the sight of the wands, uniforms and cauldrons lying on the shelves. 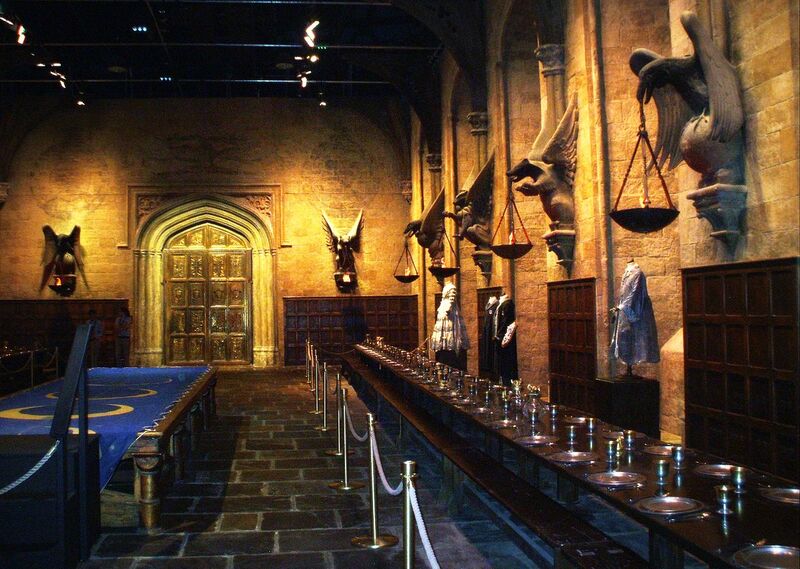 On the other side of the Atlantic, the Warner Bros studios of London also offer a one-of-a-kind experience for the continentals craving some Wizardry as part of their Harry Potter tour experience. Recommended to anyone of any age who fancies a trip back to the wondrous world of wizards and dragons! At the heart of the city of London, just on the corner of Leadenhall Market (the real life Diagon Alley) stands a shop window which anyone who ever was a Harry Potter enthusiast will recognise. Under the traditional ornate painted roof, the entrance of this shop, which in reality is an opticians, will bring back memories of Harry’s first entry into the world of magic. However, if you still fancy the taste of a nice butter beer, there is a replica of the shop in the Harry Potter Tour Diagon Alley that sells the authentic appealing mixture – a must! 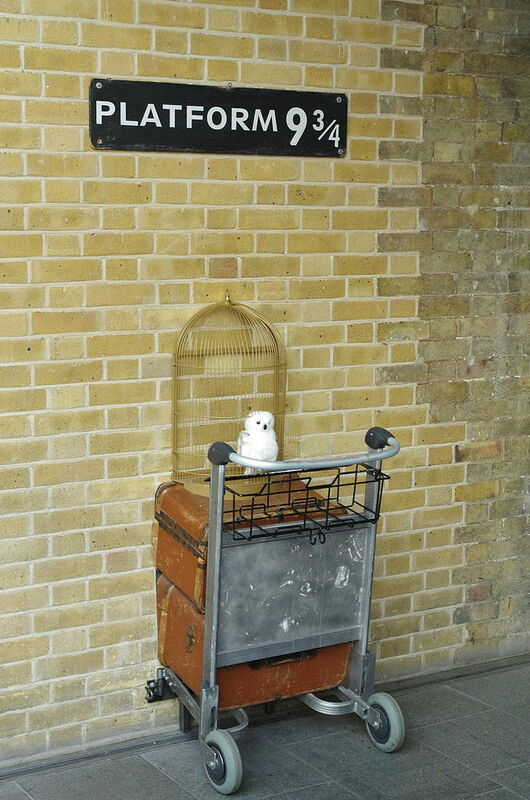 St Pancras International King’s Cross station is not only the fastest way to get to Paris, it is also the famous home of Platform 9¾, which happens to be the fastest way to Hogwarts School of Witchcraft and Wizardry. Right at the heart of the station stands the 9¾ wall, in which half a trolley is stuck. Of course, visitors are allowed to take pictures and there is even a Harry Potter shop nearby to purchase all the magical items you’ll need for your first term! While some let the Hogwarts experience stay just a dream, others have strived to make it their reality. Welcome to the College of Wizardry, best known under the initials COW, based in the Castle of Czocha in Poland. For an all inclusive price, the event allows visitors to embark on four days of acting out the life of a student in Hogwarts – learning, sharing and eating together with others who share a passion for Harry Potter. From the environment to the people, the experience promises to be a magical one! This year, the Warner Bros Studios had a wonderful surprise for their most enthusiastic fans: eating Christmas Dinner in the Hogwarts Great Hall. For the cost of £230 per person, guests had entry to the original studio tour, as well as a two-course dinner in the Great Hall with alcohol, soft drinks, Butterbeer, and their own wand! While places are limited, so is the opportunity – check out tickets for next year! One of the most famous Potter-like activities in our Muggle world is Quidditch. The famous ball sport played while riding brooms has conquered the hearts of thousands in this magic-lacking world. Although the game does originally consist of riding a broom in the air, its adaptation in real life as a running game has not rendered it any less interesting. If assisting in a Quidditch game between your two favourite houses is on your bucket list, there are many societies dedicated to the game nowadays that organise regular events all around the world. The Hogwarts Library was mostly shot in one of the most beautiful libraries in the entire world – that of Oxford University. Famously, so was the Forbidden Section of the Library, which was filmed in the famous Bodleian Library, where books, knowledge and wooden elegance meet wondrously in an endless series of shelves. For an experience nearer London, one might think of the Senate House Library, whose Victorian style is a perfect fit with the gloomy atmosphere described in J. K. Rowling’s novels. Among the countless wonderful attractions in the city of Edinburgh, there is one that has been there for years and yet is not as famous as it should be. The Hogwarts Express line, a Scottish legendary West Highland Line, will take visitors through the Highlands valley, from the shadows of Fort William to the 21 arches of the Glenfinnan viaduct – preferably in carriage D. The Jacobite train will offer a perfect experience for any Harry Potter enthusiasts looking to experience the wonderful ride to a world of magic.